Order your own copy of the Lord Vorun'thul Hero Expansion at your local retailer or online through our website today! 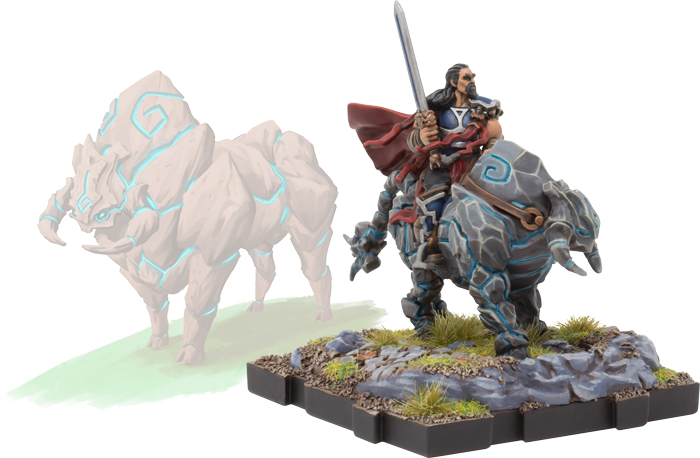 Since the sun first shone on Runewars Miniatures Game, the forces of the Daqan Lords and Waiqar the Undying have been at odds. From the cursed thirteenth barony, the dead rise from their graves to harass the living. But the lords of Terrinoth will not stand idle. The most cunning among their ranks has argued for a full invasion of the Mistlands for some time, and as Waiqar grows stronger with each passing day, now is the time to act. No matter which side of the conflict you fall on, today you gain the skilled leadership of a hero who will do whatever it takes to earn victory, even if it means surrendering to the darkest part of themselves. 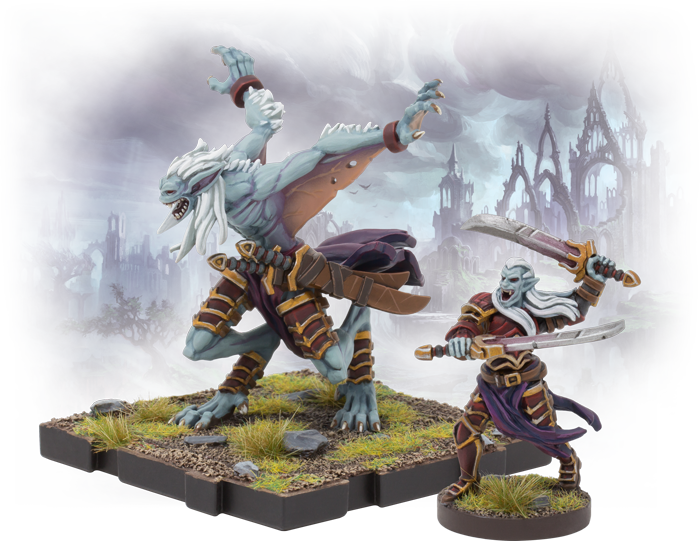 The Lord Vorun'thul Hero Expansion and Baron Zachareth Hero Expansion for Runewars Miniatures Game are on sale now at your local retailer or online through our website! When vampires emerge from the Mistlands, they inspire terror in the mortals of Terrinoth, but this fear is also tinged with awe. These immortal, unaging, and nigh-unkillable creatures can transform and transfix their victims with a single look. The most infamous of this brood are the ancient Lords of Bilehall, proud warriors who have sworn their loyalty to Waiqar the Undying. Among their ranks is the once-honorable Lord Vorun’thul, who is split in both mind and spirit by the dark power that has twisted him over the centuries. 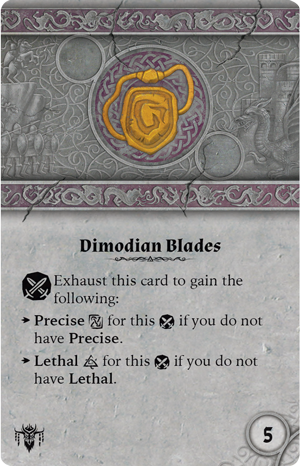 Over the course of the battle, Lord Vorun’thul can use a skill action to transform between the elegant swordsman and the ferocious beast, switching both his miniature and his unit card with a new set of skills and abilities. While each of Vorun’thul’s forms have their own strengths, you can balance the lord’s abilities by equipping him with his Dimodian Blades. As a melee action, he may use this upgrade to draw upon the power of the runes, gaining Precise and Lethal based on the energy at his disposal. 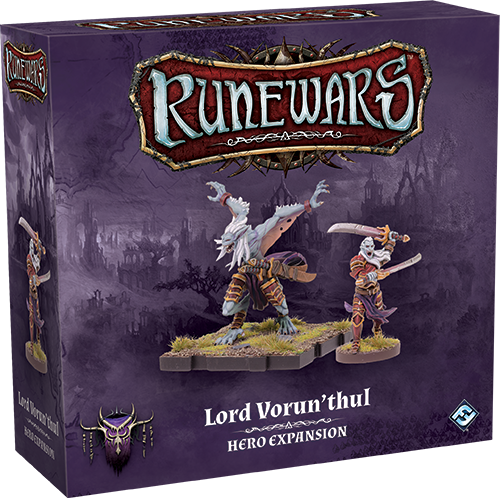 The Lord Vorun’thul Hero Expansion includes two unpainted, easily assembled miniatures of the cursed lord, as well as their corresponding unit cards, one command tool, a collection of tokens, a new terrain piece, and six available upgrade cards to further bolster Vorun’thul’s strength. 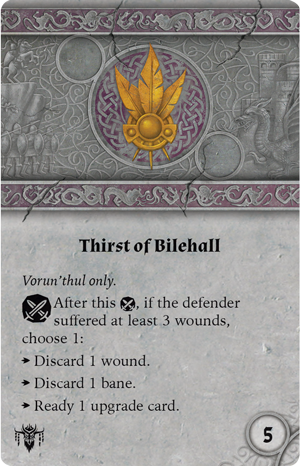 If the cursed lord gives in to the Thirst of Bilehall, he can feast upon the blood of his victim to recover his own strength, discarding a wound or a bane, or readying an upgrade. While this dark power does bestow great power, even Vorun'thul must question— what will become of him when the darkness is all that remains? Baron Zachareth has been called a hero, a warmonger, a maverick, a warlock, and myriad other names across the twelve baronies. While few can agree on his true nature, even fewer can deny the effectiveness of his methods. The people dwelling in his home barony of Carthridge are grateful for his powerful leadership and proven defense of the region. They would gladly follow him into battle, and with the encroaching threats of the Mistlands, this loyalty may soon be tested. Zachareth has been a divisive figure across Terrinoth for many years, and as such, the way that you choose to use his skills—whether you see him as a hero or a villain—is entirely up to you. 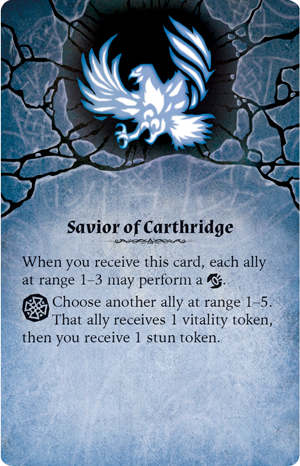 Once per game, you have the power to give Zachareth one of two conditions, each of which can define your strategy: Savior of Carthridge allows Baron Zachareth to strengthen others, while Betrayer of Carthridge lets him harm his allies in order to strengthen himself. 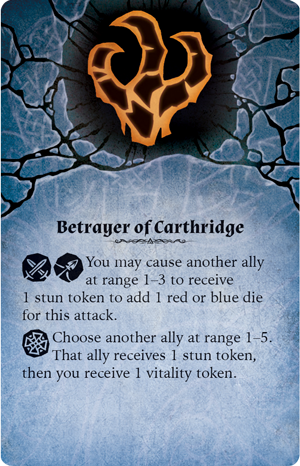 The former asks Zachareth to suffer a stun token in order to give an ally a vitality token (which may act as an additional health). Meanwhile, the latter condition inflicts a stun token on an ally to gain one of these powerful new tokens for Zachareth himself. 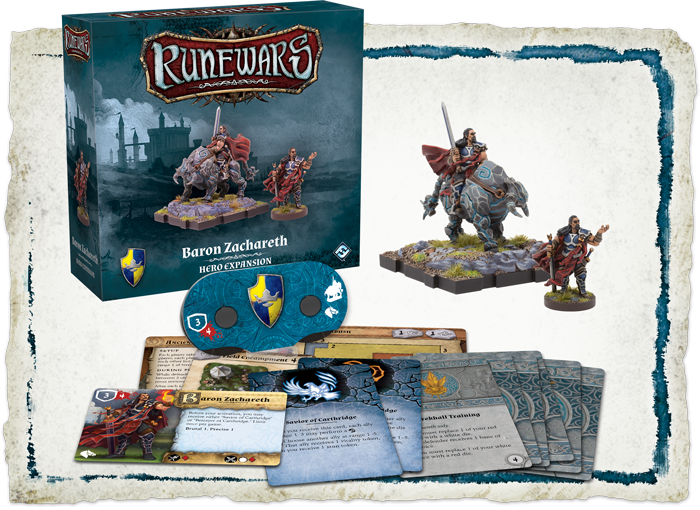 The Baron Zachareth Hero Expansion includes two unpainted, easily assembled miniatures—one of Zachareth alone and one astride his loyal runebeast, Backbreaker—as well as his unit card and command tool, a new terrain piece, a collection of tokens, two condition cards, and six upgrade cards to ensure that all in the Land of Steel will either respect or fear the Baron of Carthridge. 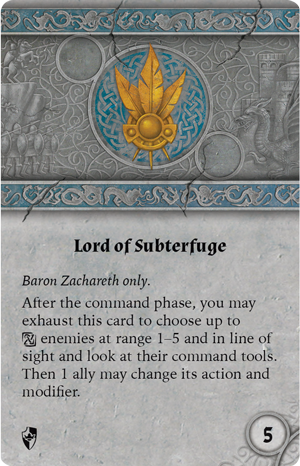 No matter his true role, when he takes to the battlefield, Baron Zachareth is undeniably a Lord of Subterfuge. 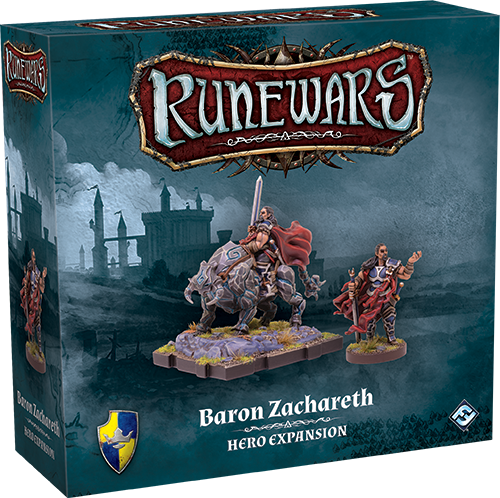 With this upgrade, Zachareth can draw on the power of stable energy runes to look at his enemies' command tools, then order one of his allies to change their plans for the round. While the noble barons of the Daqan may frown upon the use of such dishonorable methods, when you are faced with the forces of the undead, you may find it preferable to remain alive. Both of these commanders are famous for their ruthlessness, using underhanded intrigues and animalistic ferocity to turn the battle to their favor. You may wish to believe that all is good and noble, but in these times of war, you can no longer afford scruples. Embrace the call of the darkness, add a new hero to your ranks, and complete your conquest! 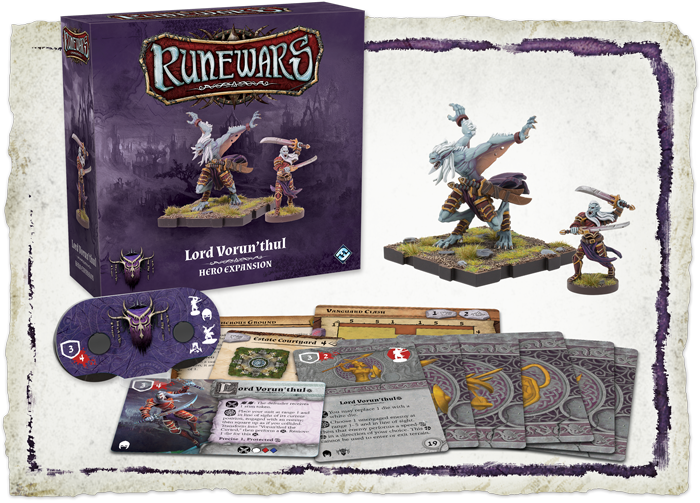 Pick up your copy of the Lord Vorun’thul Hero Expansion (RWM31) and Baron Zachareth Hero Expansion (RWM32) at your local retailer today or on the Fantasy Flight Games website!